[Cookie Elf File] Giant Birthday Cookie: More Fun Than Cake and Easier, Too! Browse an amazing selection of sprinkles, colored sugars, icing, and cookie decorations at best prices. < a href>. Feature: Giant Birthday Cookie: More Fun Than Birthday Cake and Easier, Too! Let’s be honest: homemade is more personal than store-bought. 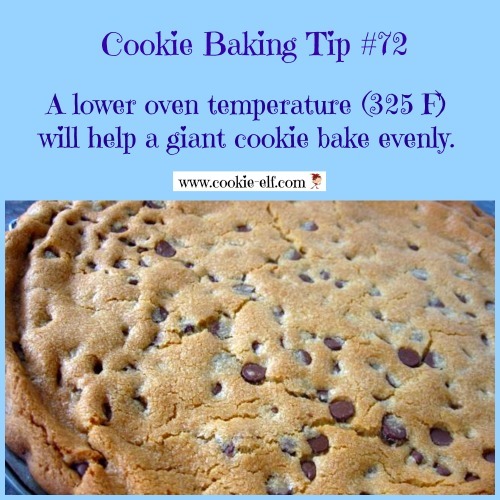 A giant cookie is easier to make than a birthday cake. And who doesn’t like cookies? So says The Cookie Elf. GRIN. And if you’re worried about the time you may need to decorate, worry no more. You can use a tube of prepared cookie icing. Save what you don’t use and pop it in the freezer until the next birthday in your family. Get the full recipe for Giant Birthday Cookie … and check out our Jumbo Cookies Pinterest board for more fun ideas for giant cookies.